Planning and monitoring are new to most Brazilians. Participation and trust, too. Less than a month from the June 13 start date for the Rio + 20 U.N. conference on sustainable development, government officials scrambled to reduce hotel costs and make more more rooms available. The problem wasn’t just a shortage of hotel rooms or outrageously expensive rates, but a travel agency that had blocked out most of them for a mere 25% service charge, on top of the hotel price. And only two years away from the World Cup, which will take place in twelve Brazilian cities including Rio de Janeiro, a new government report shows that less than 1% of the US$ 13 billion equivalent set aside for infrastructure has been spent so far, with 44 of 101 projects still in the blueprint stage. Fruit just dangles off the trees here– and there are always so many imprevistos (unexpected difficulties, such as torrential rain, a building collapse, a shootout between cops). Why bother to plan? Dare we hope for mega-event readiness? It’s a question being asked by a growing number of observers. One foreign blog friend with long experience in the arts explains the penchant for procrastination with the observation that Brazilians like to wait until the last minute and then, by way of a heroic effort, produce a stunning result- – and look heroic. Often, waiting until the last minute allows for waiving the required bidding process, which in turn allows for padding contracts. So you might say that procrastination walks hand in hand with making an opportunity into one’s personal best. 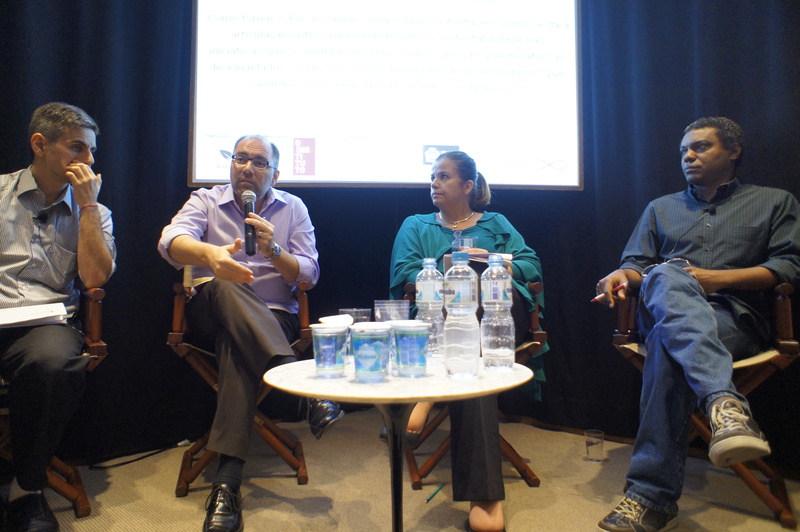 A presentation of Rio’s new Strategic Plan at the OsteRio debate venue last May 14 indicated that planning has become central to urban life and politics. On taking office, Mayor Eduardo Paes made a plan and stuck to it, with meetings, followup and implementation that included performance bonuses for effective city servants. The new one is meant to be part of the electoral debate for the October municipal elections. Those who commented on the new US$ 15 billion equivalent plan– which was drawn up with the help of McKinsey & Company consulting plus 200 carioca notables and a public opinion survey — said its very existence was reason for celebration. “It means that city hall has recouped its ability to act,” said researcher José Marcelo Zacchi, adding that the challenges facing the city at the start of Paes’ term demanded a great deal of thought and planning. One should not forget, after all, that until 15 months ago all you had to do to get on a bus was raise your hand, as long as you were outdoors and somewhat close to a curb (surviving the ride without needing physical therapy was, and still is, another matter). And that until about eight months ago, electric, cable, gas and water utilities dug holes and laid networks with zero supervision and zero coordination amongst them. Thus the exploding manhole covers. 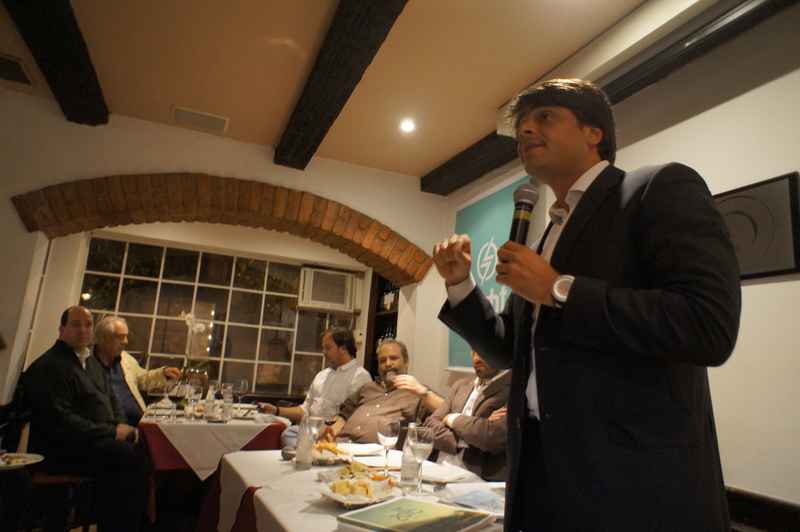 Pedro Paulo Teixeira, the mayor’s chief of staff who presented the plan at OsteRio, acknowledged the need for more bottom-up planning. 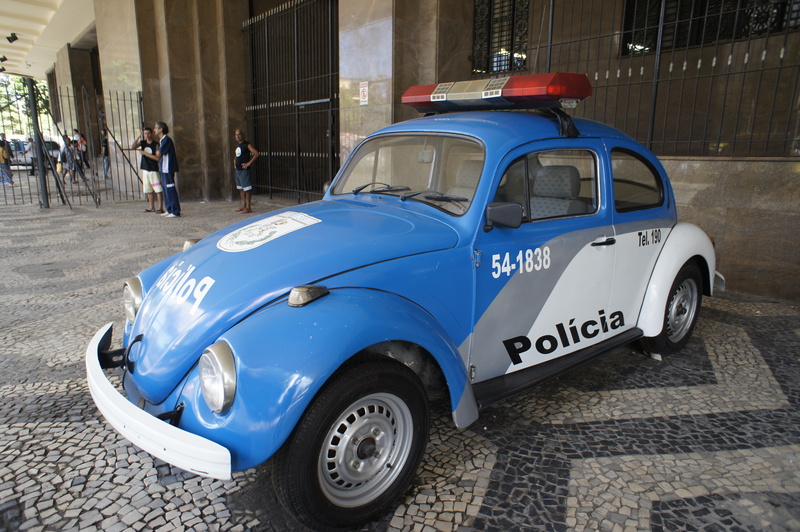 The Rio police are also investing heavily in planning– and personnel, and work space and conditions. They also have a long way to go. 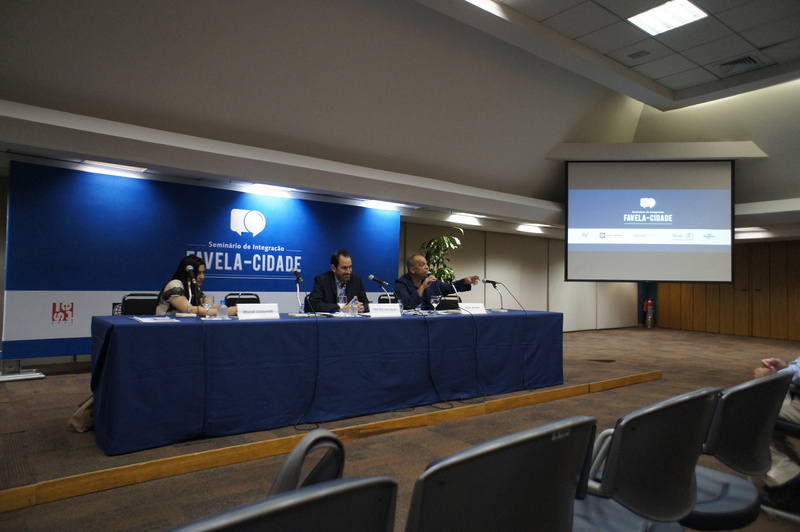 A shocking fact emerged at a May 17 presentation of the Public Safety Secretariat’s plan for the Rio + 20 Conference to foreign journalists: police called upon to work overtime at special events were paid nothing. This changes now. “There’ll be greater willingness to work,” said Roberto Alzir, Special Undersecretary for Mega-Events. Police academy instructors also weren’t paid; the whole system is being reformulated, in large measure to produce more pacification officers. Today, 5,000 officers work in the current 22 police pacification units. The planned number for 2014 is 12,500. Clearly regard for those at the bottom of the pyramid is growing. It’s not for nothing that TV Globo’s new novela das oito, Avenida Brasil, features the not-so-poor-anymore of Rio’s North and West Zones and has reached the best kickoff audience statistics over any other prime-time soap in the last five years. Parenthetically, TV Globo recently started calling the eight o’clock novela a nine o’clock novela, which has always been the time the program airs– definitely a good sign. Ricardo Henriques, who in August leaves his post as president of Rio’s strategic planning and data agency, Instituto Pereira Passos (IPP), speaks of a “reconfiguration of the social fabric”, and says that cariocas are learning how to engage in dialogue. Henriques, who passes on his responsibilities, including the Social UPP program, to Eduarda de la Rocque, currently municipal Finance Secretary, built the program around the concept of “strong listening”. The results have greatly expanded urban services and also drawn criticism, part of the vibrant give-and- take currently going on here. Mayor Paes and incoming IPP chief de la Rocque have proposed a similar fund idea. Income inequality is at the heart of so much left to do. The challenges and mindtraps lie in unlikely places. Jailson da Silva, Coordinator of the Observatório de Favelas favela research and advocacy group, criticized the title of another gathering held last week, the Seminário Integração: Favela-Cidade. “Favelas are already part of the city,” he pointed out. “They are integrated– and unequal.” When there used to be shooting in the favela of Cantagalo, invariably the newspapers would headline Ipanema residents’ loss of sleep, he added. Dangling fruit, for a select few? It could be that the reason for Brazilian dillydallying isn’t that pickings are easy, but the fact that for a minority, the pickings are near at hand; while for many people, they’re are out of reach. How to get near the mango tree, when a small group has better muscles and longer arms? And why, if you were in the small group and close to the mangueira, would you bother to plan much? If an imprevisto appears, all you have to do is throw money at a bunch of relatively unskilled workers and they’ll shake the tree (praying no mangoes fall on their heads), bag the fruit, and hand it over. The solution leaves a few unhappy toucans, but those ungainly avians prey on other birds’ eggs, so they have it coming. Except that unskilled workers are getting expensive and feisty (and relatively less unskilled); a growing number of people are coming to realize that the mangoes are taxpayer-financed and we all pay taxes; inequality is an ever-more key issue; and the exchanges that globalization brings are challenging long-held traditions, behaviors and values. In other words, Brazil may actually not be fully ready for its mega-events, but by the time the last one is over, not only will Rio have changed dramatically, but this will be a very different country. 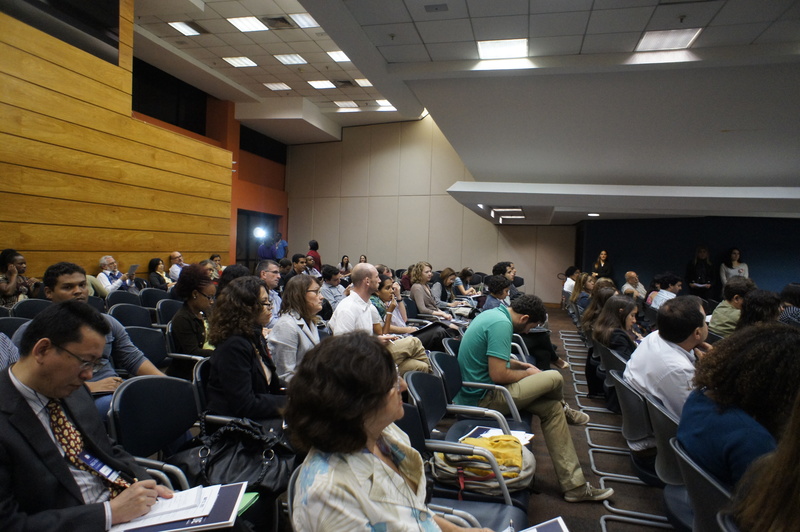 To see the Public Safety Secretariat’s presentation (in Portuguese) on security plans for Rio + 20 click on Segurança Rio+20 (1). To read the Public Safety Secretariat’s crime stats presentation, click on O Globo (1). This entry was posted in Brazil, Transformation of Rio de Janeiro / Transformação do Rio de Janeiro and tagged Brazil procrastination, EBX Institute, Eduarda de la Rocque, Eduardo Paes, Eike Batista, exploding manhole cover, IETS, Instituto Pereira Passos, Jailson da Silva, José Marcelo Zacchi, Marcus Faustini, McKinsey Rio de Janeiro, novela Avenida Brasil, Observatório de Favelas, OsteRio, Pedro Paulo Teixeira, Public Safety Secretariat crime statistics, Public Safety Secretariat security plans for Rio + 20, Ricardo Henriques, Rio + 20 hotel shortage, Rio de Encontros, Rio de Janeiro police, Rio de Janeiro ready for World Cup, Rio de Janeiro Strategic Plan, Roberto Alzir, Seminário Integração: Favela-Cidade, Social UPP, Studio X Rio de Janeiro. Bookmark the permalink. 9 Responses to Countdown to first mega-event: how far has Rio come? Well written! I always enjoy your posts. A really good post. It still not clear to me how the “outs” are going to get the “ins” to give up more of their mangoes. Even if the city specifically understood what those in the lower middle class wanted, I am not sure the city has the organizational structure to give it to them. That’s what everyone is working on… since more equitable income distribution is at this point inevitable. Very entertaining as well as informative. “…by the time the last one is over, not only will Rio have changed dramatically, but this will be a very different country.” Brilliant. my goodness, thank you very much!